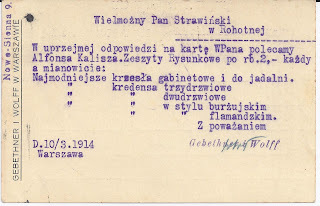 For some countries, it is very common to find official postal stationeries modified with private overprints of company names and sometimes associated advertising matter. Rules differed between countries, I am sure, regulating what could and could not be done and whether without or with permission. 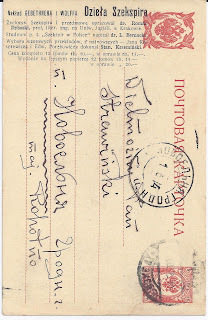 There are many collectors who look out for such modified stationeries and interesting collections can be made. But for Imperial Russia, private modifications are not common and I assume that this was because regulations were not very helpful. Maybe one of my readers knows what the rules were. When I go through dealer boxes, it is only very occasionally that I find examples of modified cards. Here is one I found last week in a dealer box. 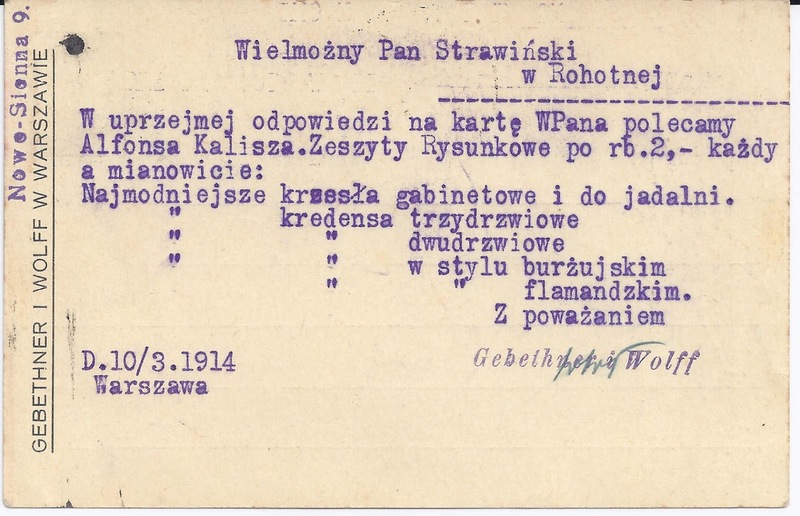 As is often the case, this card has been modified by overprints printed in Polish rather than Russian. The modification in this case is very modest, though the fact that it is also on the front is still very unusual. 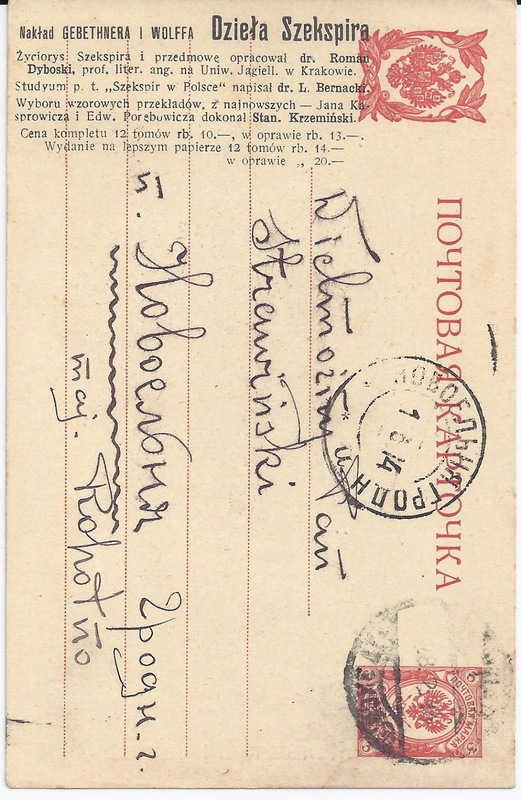 The card has been used in 1914 from Warsaw to Novoelnya in Grodno guberniya with the addressee's name written in Polish and the rest of the address in Russian. Novoelnya returns only a couple of Google results and Rohotnej is not much better but I think it is now in Belarus.